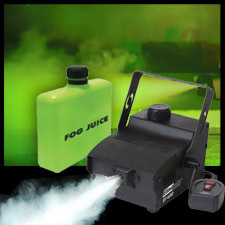 The EF400 Fog Machine has a powerful 400 Watt Heater. It comes with a 10' wired remote and 1 pint of Eliminator brand Fog Juice Container. 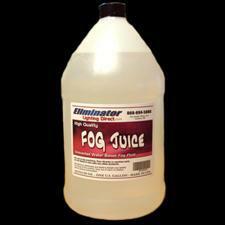 This fogger uses only water based fog juice and displaces 1,500 cubic ft. of fog per minute. Dimensions: 8.5"H x 6"W x 6"D Weight: 5 lbs.